In the aftermath of the Cleveland Cavaliers‘ Monday night loss to the defending NBA champion Golden State Warriors, reports of some ominous concerns among Cavaliers players surfaced. The fear expressed was that the team is in danger of being unable to address the issues that have recently resulted in the team losing their last four games and eight of the last 10 contests. Some of the key issues that need to be addressed are the team’s poor defense, which had them ranked 29th of the NBA’s 30 teams before they allowed 118 points to Golden State. That rank has a recent historical significance that should raise eyebrows among the Cavaliers. “Over the past 20 seasons, no team that finished in the bottom two in defensive efficiency made the NBA playoffs, let alone the NBA Finals, according to ESPN Stats & Information,” wrote McMenamin. Another issue deals with the team’s ability to compete against the NBA’s elite teams. Presently, the Cavaliers have lost six of their seven games against the top three teams in both the Eastern and Western Conference. One factor in the current struggle has been related to the shooting struggles over the past three games of Cavs point guard Isaiah Thomas. Those woes continued on Monday night, when Thomas hit on just 8-of-21 from the field. That included a stretch in which he missed 9-of-11 on his field-goal attempts, with the rustiness from missing the first two months of the season because of a hip injury offered as the reason. The Cavaliers do have a prime trading chip in Brooklyn’s top pick, which is expected to be a lottery pick. The Cavaliers have until the Feb. 8 trading deadline to pull the trigger on any deal, but likely won’t deal the pick unless they can bring in someone they feel can serve as a game-changer. 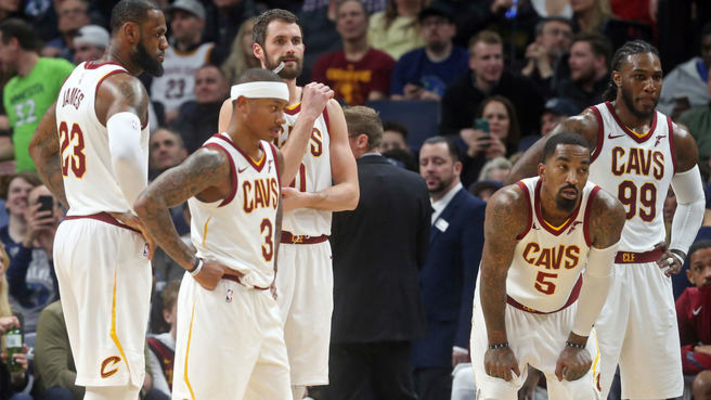 While the Cavaliers have traditionally struggled in January since LeBron James returned in 2014, the team is now simply looking for a way to get back in a winning groove. Until they do, the prospect of reaching the NBA Finals for a fourth consecutive year will remain in doubt.